The legal system may have failed him, but bars cannot break his spirit. 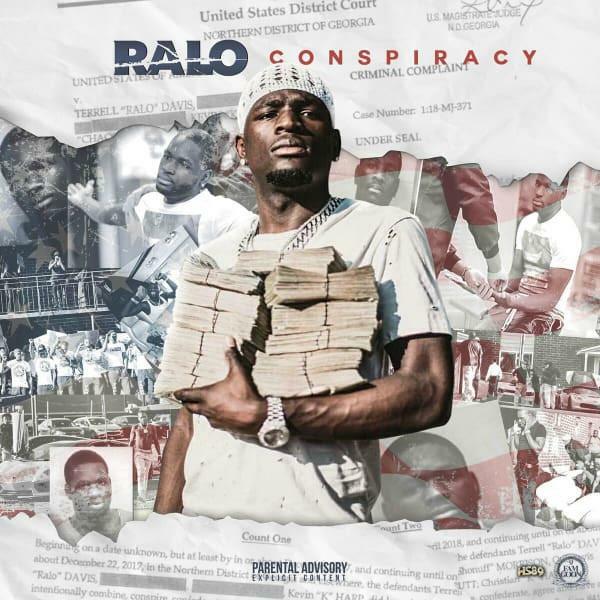 Ralo has emerged to drop off his Conspiracy album, with a title alluding to his pending conspiracy to distribute marijuana charge. In that regard, the album is steeped in greater subtext, particularly during moments like the introductory cut "Rich Black Man." While contributors like YFN Lucci and Young Scooter pad the liner notes, Ralo opts to fly solo on this outing. Speaking with Complex, Ralo opened up about his decision to release an album while incarcerated. "I decided to drop this project now because I wanted to have a project in the streets before I got out of jail," he explains. "This project speaks a lot about my current situation. I made these songs leading up to my arrest and I want people to hear my side of the story. It's a very authentic project, and it speaks for a lot of people that are currently in and have been in my situation." Though Ralo's future may be uncertain, it's not entirely bleak. "A couple weeks ago I was preparing to spend the next few years of my life in prison, but as of now my lawyer believes that I will only be doing a couple more months," he says, citing The Marijuana Justice Act. "This law decriminalizes marijuana on a federal level and we need people to start calling their Senators and State representatives to get this bill passed," implores Ralo. "This bill can help a lot of people get out of jail and back to their loved ones."